Once the location and floor plan of the home have been selected and the building contract has been signed, the permitting process can begin. Building permits must be obtained before any work can begin on the homesite. This process ensures that your home will meet the safety, structural, and environmental standards required by your local jurisdiction. If applicable, approval from the Homeowner Association must also be obtained. Excavation, grading, tree clearing, backfilling, etc. may be required in order to get the land prepped for the foundation of the home. Your Builder and local jurisdictions will determine the grade to ensure proper drainage. Basement or slab foundation is staked out and poured. Some aspects of the plumbing are done prior to the foundation being poured. Also, if using brick on the exterior, a brick ledge must be poured at this stage. Framing provides the “bone structure” of your interior and exterior walls, floors, windows, doors, ceilings, and roof of your home. The mechanicals of your home will be installed after framing. 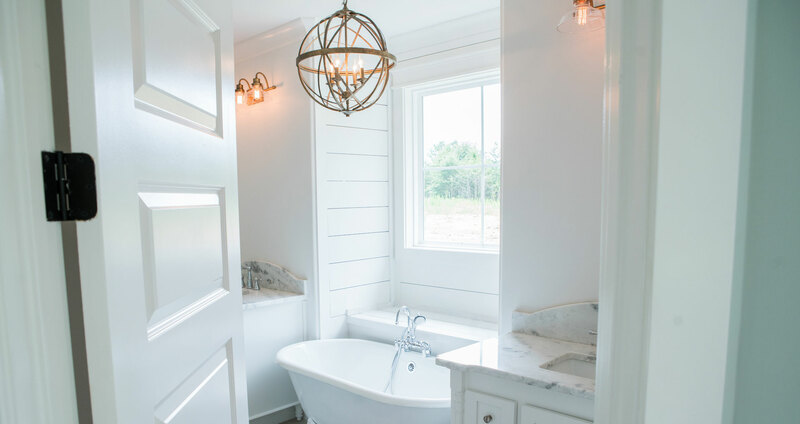 The “rough in” consists of wiring for electrical switches, outlets, and lighting, supply and drain lines for plumbing, and ductwork for the HVAC units. 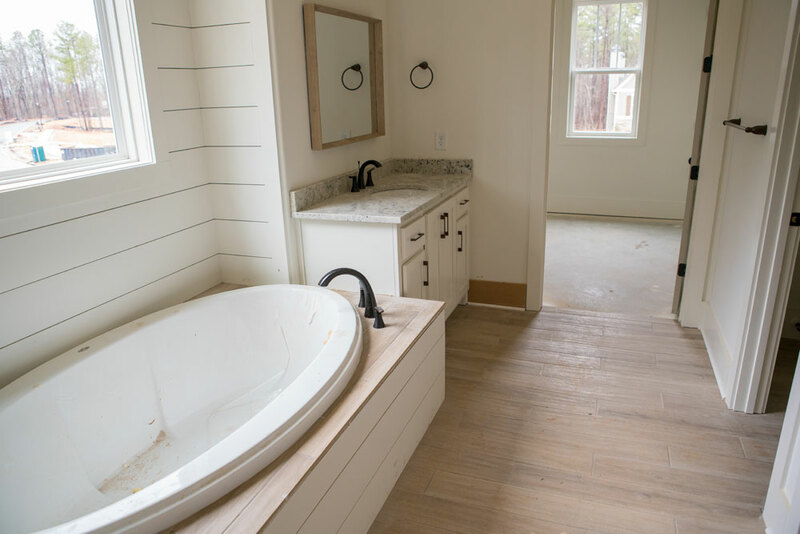 Once the rough stage is complete, your home will be insulated. Then the drywall will be hung. The inside of the home really begins to take shape. During this stage, the trim moldings, door casings, and interior doors are installed and then painted. 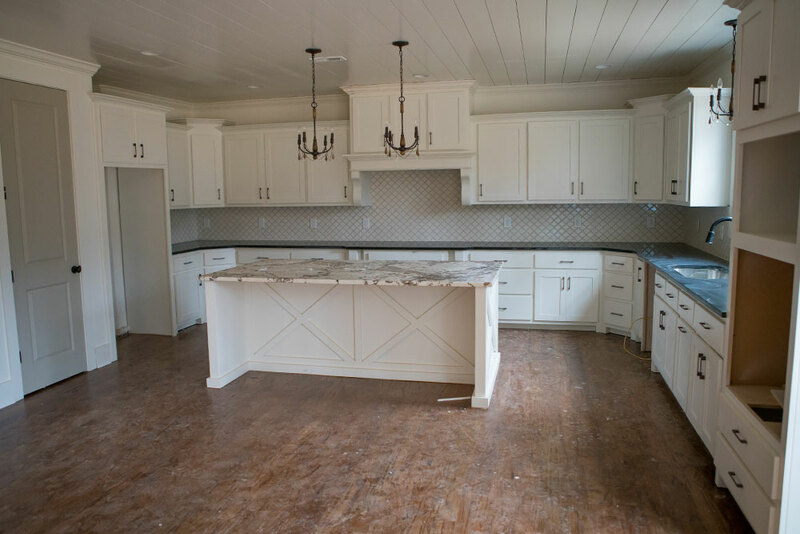 Hard wood floors, tile, cabinetry, countertops, faucets, lighting, shelving, and appliances, mirrors, etc. are all installed. You start seeing all the personalized selections you’ve made throughout the process that make the house become your home.